Copyright - Dr. Annie Zac Poonen (2018). This book has been copyrighted to prevent misuse. No part of it may be copied or printed or translated without written permission from the author. For further details, please contact: [email protected] or Christian Fellowship Church, 40, DaCosta Square, Wheeler Road Extension, Bangalore-560084, India. 14 SHE was poisoned by a servant at home and almost died. 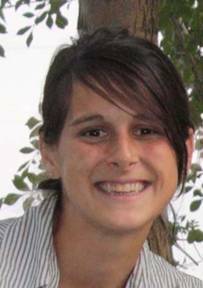 But God saved her life and she surrendered her life to Christ immediately thereafter. 16 SHE dedicated her life to serve the poor and travelled 1500 kilometres in a train to a remote village in Central India to learn how to help lepers in a Leprosy Hospital. 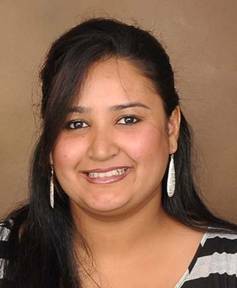 23 SHE graduated as a medical doctor from India's top medical college - Christian Medical College, Vellore, Tamilnadu. 25 SHE married Zac Poonen - a servant of the Lord who had no income or salary, but who trusted the Lord for his needs and who also wanted to serve the poor. 26-54 SHE stayed at home as a wife and a mother (for 28 years) and raised four sons to be disciples of Jesus, while her husband travelled preaching the gospel and establishing new churches in the towns and remote villages of South India. 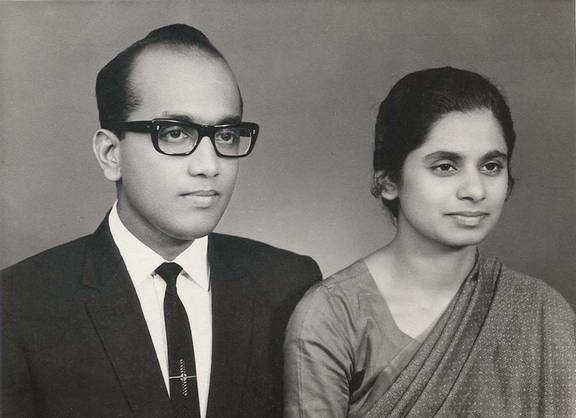 54 SHE began travelling with her husband (after all her sons had left home for college), as he went around preaching the gospel in India and in other nations. 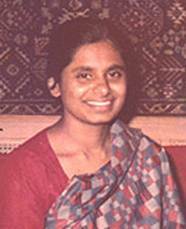 54-76 SHE travelled (for 22 years) frequently with her husband to the villages and towns of South India, giving free medical treatment to hundreds of women and children. 76 SHE looks back over her life and marvels at God's amazing leading in her life. "I will lead My people by roads they have never travelled. I will turn their darkness into light and make the rough paths smooth before them. God knows His children even before they are conceived in the womb - and He plans every detail of their lives long before they are born. During the Second World War (1939 to 1945), guns were booming and bombs were exploding in many parts of the world. But in India, God quietly brought two little babies to birth, who were to be part of His plan for His church in India and elsewhere. One was Zac Poonen - born on 5 November 1939. 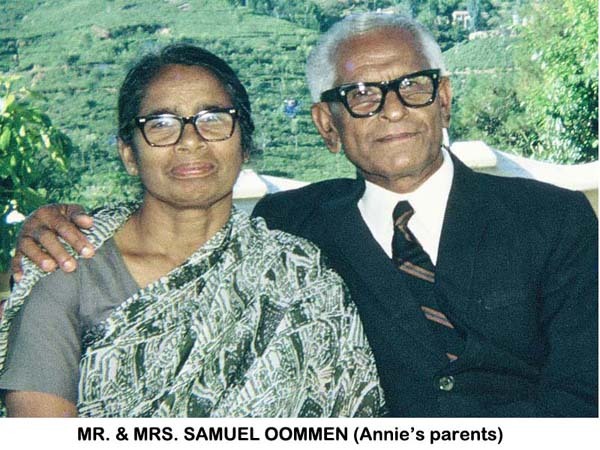 And since he would need a helper for his ministry, God brought forth another little baby in India three years later - one perfectly designed for him - Annie, who was born on 25 December 1942. God works years in advance for the needs that will arise in His church, by preparing His servants in secret, to meet that need when it arises. He did that with Peter and Paul and many others in church history. In ancient times, He raised up Esther who was told that she had been born "for such a time as this" (Esther 4:14). She was born at that time because God's people needed her ministry at that time. Annie also was born at a particular time in history because God's church needed her ministry. Little did these two little children - Zac and Annie - know as they grew up that God was preparing them for each other and training them for a ministry that would be vital to His church - around the world. They also grew up, blissfully ignorant of each other. 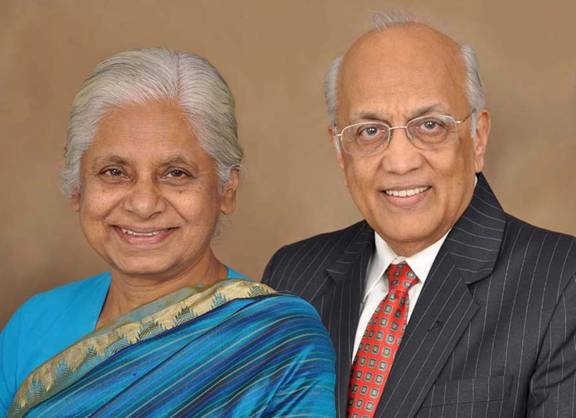 In 1966, Zac who was an Indian Naval officer in Bombay, resigned his job in order to serve the Lord full-time, In that very same year,one thousand kilometres away from Mumbai, in the small town of Vellore, Annie graduated as a doctor from Christian Medical College, and decided to serve the Lord by ministering to lepers in a leprosy hospital in Central India. "They are being joined for the blessing of many people of many countries. And the light of God will shine brightly by their union in many parts of the world". Thus Annie began her lifelong ministry as Zac's helper. As she looks back now over 50 years of life and ministry together in many parts of the world, she sees the fulfilment of that prophecy that was made at their wedding. "If my sons are following the Lord today, it is first of all because of the grace and mercy of God and secondly because Annie spent so much time with them, instilling spiritual values into them and praying for them constantly." "When Annie decided" to marry Zac, God spoke specifically to her saying, "He is My servant. I want you to take care of him." 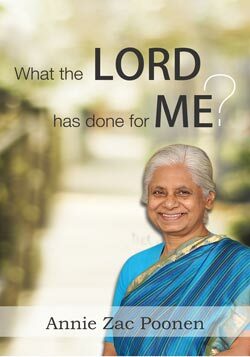 And she has done that job faithfully for 50 years now - not only taking care of him physically, but also being his prayer-partner in his ministry, and serving alongside him in the villages of Tamilnadu. She has given medical aid to hundreds of women and children in those villages for many, many years now - all free of charge. 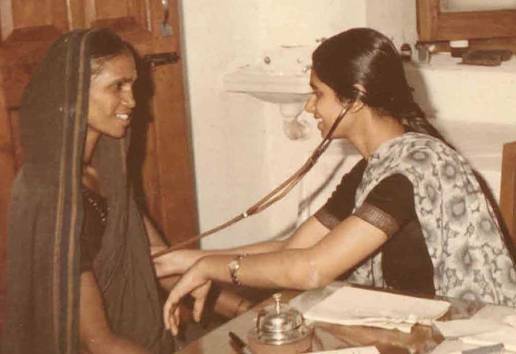 Annie Poonen is one doctor in India who has never earned even one rupee from her work in 50 years of medical ministry to others - either directly or through any organization. By the grace of God, and with God-given wisdom, she has also never made a wrong diagnosis in all these 50 years. Her medical ministry has saved many from premature death and brought healing from sickness to hundreds of others. I want to give all the glory to God for all the wonderful things that the Lord has done in my life. God gave me the grace to grow up in a good Christian home. I was the oldest of nine children. My parents taught me to receive Jesus as Saviour very early in my life. I asked the Lord to come into my heart many times. But I was never sure whether He had come. I used to pray and ask Him - and then I would forget about it. But finally a day came when I knew for certain that Jesus had come into my heart and taken me out of the kingdom of darkness and brought me into His kingdom of light. This is how it happened. I was 14 years old and my mother was expecting my youngest brother then. We had hired a man to cook for us, since my mother could not do all the work at home herself. This man put some poison into the food one day, without our knowledge. I think he wanted to put us all into a coma so that he could steal things from our home. Since I was the eldest daughter, I was doing the serving of food to everyone. But everyone refused to eat the food that day, saying that it tasted bad. However I ate a little bit of it. I remember I felt very thirsty that night. But I have no remembrance of anything that happened after that. My family told me that I went to school the next day but had behaved in a crazy manner at school. I had always been a quiet student, but that day, I was very troublesome. When school was over, my brothers and sister and I walked back home together. They told me later that I was hitting them and behaving badly all the way home. When I reached home, I continued creating trouble there. My parents thought I had developed a mental problem. So they called a doctor. He said that this was caused by food poisoning due to some poisonous seeds (called Datura) that I must have eaten. My parents then examined all the food in the house to see what it was that had poisoned me and they found some of the seeds in a pickle. By this time, our cook had left without any warning. Following this, I slept for many, many hours - I don't remember for how long. The doctor gave me a stomach-wash, and did everything he could for me. But I was still in a coma. By the grace and mercy of God, I recovered after a week. My family then told me about all that had happened. It was then that I started thinking seriously about death. The doctor had said that if I had taken just a little more of that poison I would have died. I knew that if I had died then, I would have gone straight to Hell. I did not deserve to go to Heaven, because I had disobeyed my parents many times. So I decided to make sure that I was ready to meet the Lord. I prayed again that Jesus would come into my heart and forgive my sins. Again nothing happened - even after I had prayed for some time. I thought I might never be sure of being a child of God. But that night, I felt the Lord urging me in my spirit not to stop praying. I was desperate. I wanted to know for sure that I had become a child of God, and not live in doubt any longer. So I continued praying. The big clock in our house struck midnight - and then one o'clock. Everyone else at home was asleep, but I was awake and praying. I started singing some songs quietly in my heart and quoting some Bible verses to myself. At about 3 o'clock in the morning, I felt a surge of joy within me - and peace filled my heart. God assured me then that He had cleansed away my sins, that I was now his child, that He loved me intensely and that He had a plan for my life. This assurance has never left me since that day. I learned two things clearly that night: First, that whenever I pray for something, I must not stop praying until I get an answer from God. Whenever I have faced problems thereafter, God would always remind me - "DON'T GIVE UP PRAYING UNTIL YOU GET AN ANSWER". Secondly, the Lord assured me that He had indeed delivered me from the kingdom of darkness and had brought me into His kingdom of LIGHT. Since then I have never doubted that I am His child. I am so thankful to God that He spared my life and that I did not die as a child. God has been good to me and has given me so many years to live for Him. The next step the Lord showed me was to be baptized in water. Since then, the Lord has sent many godly people across my path who have helped me to grow in my spiritual life. One of them was a very godly Sunday-school teacher. When I finished school, I asked the Lord what He wanted me to do in my life. I had read in 2 Corinthians 5:15 that Christ had died so that we might never again live for ourselves but for Him alone. I had been saved from death and Hell. I decided then that I would live henceforth only for Christ. So when I was 16 years old, I decided to travel 1500 kilometres from home to this leprosy hospital. I stayed there for two weeks. As I helped the nurses there, I found a great longing within me to take care of these sick people. At that time, many people were suffering from leprosy in India and hardly anyone wanted to help them. People would not even go near them, because they looked repulsive with their deformities. Their relatives would bring them to the hospital and leave them there and did not want them back. This village was an abandoned village, full of cobras, where nobody wanted to live. So people would take all who were diseased with leprosy to this village and leave them there. Now, even the buses would not stop at this village. The first morning I attended a prayer-meeting at the hospital. Some leprosy-patients who had accepted Jesus as their Saviour had gathered together for prayer. When I saw their faces, I felt a revulsion within me and also a fear that I might contract leprosy. Then I heard them singing in the Marathi language (which I could not understand). As they sang to the Lord with voices affected by their disease, the Lord began to speak to me. I thought of how Jesus had come into the world for a sinner like me; and my sins were much worse than leprosy. Jesus had also allowed others to hit his face so much that it was disfigured - for my sake. God broke me then and poured such love into my heart for those poor women that I felt like hugging every one of them. I no longer felt that they were ugly and repulsive. I said, "Lord here I am. Use me to help these people." Only God could have done such a work of transformation in me. I decided then to be a doctor. The Lord helped me to get admission into the Christian Medical College at Vellore. Every year, during the Christmas vacation, I visited this leprosy hospital and got used to helping the patients there. My parents however were not happy that I was going there instead of going home for my vacation. They were happy that I was going to be a doctor, but they did not want me to work with leprosy patients all my life. They knew that there was no cure for leprosy (then) and that many who worked with such people contracted leprosy. My parents also told me that no-one would marry me if I worked with people who had leprosy. I was convinced however that the Lord wanted me to work there, at least for some time. And so, as soon as I graduated as a doctor, I went to work in that hospital. 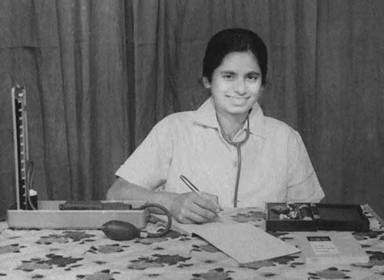 I was the first Indian lady doctor to work in that leprosy hospital and the only lady doctor for that whole area. Women who get leprosy (which begins as a small patch on the skin), hide it for as long as possible; and they will never go to a male-doctor. So by the time their leprosy becomes evident, it is so advanced that no cure is possible. By then, they would have infected their children and others in their home. Because I was a lady, the women would permit me to examine their bodies for any patches on their skin. Thus, we could start treating the infected women at an early stage which helped to cure them. I worked there for a whole year and the Lord gave me many opportunities to serve those people. The Lord also helped me to learn Marathi, so that I could understand them and communicate with them. He gave me wisdom also as to how to treat them. There were some women with other diseases too. But I experienced the Lord as the Great Physician with all of them. When I was in medical college at Vellore, I used to attend a church whose main leader, Brother Bakht Singh, was a godly man whom I respected very highly. He had been like a father to me. In 1967, before I left to work at the leprosy hospital, he had asked me whether I would consider marrying one of his junior co-workers - Zac Poonen. He asked me to pray about it. 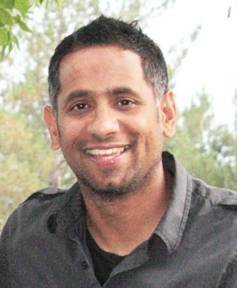 Zac had been a naval officer and had resigned from the Indian Navy a year earlier in order to serve the Lord. I had heard Zac speak on a few occasions and I admired him. I knew God had called Zac to serve Him and that there had been revivals through his ministry in many places. So I felt that he was the best person I could have as my husband - for I would be able to look up to him easily. I wrote to my father accordingly. But my father would not accept it. Zac had given away all his earnings in the Navy for God's work and did not have any income now. So my father wondered how Zac would be able to support a family, and refused to consider the matter any further. He also decided that I should leave the leprosy hospital and told me that he was coming there to take me back home. My father was a businessman and a preacher. While making the long journey from home to where I was working, he stopped at a number of places and preached in churches. In some of those churches, he enquired from his friends about Zac. Everyone gave a good report about Zac and told my father that he would be lucky to get such a man as a son-in-law! An American missionary (who was my Dad's close friend) also said the same thing and added, "Many doctors are only interested in making money. But your daughter does not care about making money, but wants to serve the Lord. So she has chosen to marry someone who is also serving the Lord". Hearing all this, my father's attitude changed completely and he agreed to conduct my marriage to Zac. I was very happy. But the people in my hospital were sad that I would be leaving them. I loved them too. I remember at one meeting where I was speaking to the women patients, something like a revival broke out. In one corner of the room a woman suddenly started crying and went over to another woman and apologized to her, saying, "I am sorry that I had avoided talking to you for so long." Then another one went over to someone else and reconciled with her. Very soon, the whole room was full of women crying and praying to God. The Holy Spirit was moving in our midst. After seeing such movements of God, I felt sad that I had to leave them. I prayed, "Lord, you are doing such a wonderful work here. Do you really want me to leave this place and go away?" But I knew that the Lord's ways are not my ways and I felt He was now leading me into a new chapter in my life. And He would continue to lead me step by step. 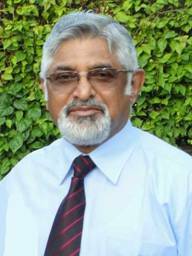 So I left the hospital and in June 1968, Brother Bakht Singh conducted my marriage to Zac, at Vellore. The Lord did a wonderful thing for these people after I left this hospital. He sent some other doctors there to serve them. Now that leprosy has been eradicated in India, this hospital is treating all types of patients. Many years later, when I visited there, I was thrilled to see one of the 'babies' who was born when I was there, and whose delivery I had conducted, now working as a technician in the same hospital! After marriage, I discovered very soon how difficult it was to live without a steady income! My first thought then was that I could go back to the leprosy hospital and work there and Zac could make that his base for his travelling ministry. So we visited that hospital. But Zac did not feel any leading from God to be based there. So we returned to Vellore. We did not have enough money to rent a house and so we had to live in one room of his parents' home there. Our first son was born a little over a year later, and then our financial needs increased greatly. We struggled to live with the little that we received. Up until my wedding, I had been very active in God's work in college and in the hospital. But now, I was just sitting at home (a home that was not even mine), without much money and also having a small child to look after. I became very discouraged and started drifting away from the Lord in my mind. I did not do anything wrong externally. I still went to the church- meetings. But I was miserable inside. I knew that God had led me to marry Zac. But I wondered why we were suffering like this. I did not feel like praying, or even reading the Bible. In addition, our baby was keeping me awake at night and I was constantly tired. At this time of utter discouragement, a sister whom I had never met before, came to our home. She asked me if we could pray together. I agreed and took her to my bedroom and we prayed together. The freshness in her prayer challenged me. It made me long for such a freshness in my own life. That sister then suggested that I go to her house next time for prayer. So the next time, I took my baby and went to her home. We both knelt down on the floor and prayed while my baby was sleeping between us. I prayed saying, "Lord something has happened in my life. At one time I was so close to you, but now I have gone so far away from You. Please have mercy on me and bring me back to You." Then the Lord began to show me how I had wrong attitudes in my heart against some people. My father and I had become distant from each other. My husband's parents were very good to me, but I was not happy in their home. The Lord opened my eyes and showed me that the problem was not with others but with me. So I started crying and said, "Lord, forgive me. I am such a rotten sinner. Outwardly people think I am good. But I am full of bitterness inside." Suddenly I felt God touching my heart. I felt like a little child in His arms. He picked me up and my tears stopped. He filled my heart with joy and peace once again. As I started to praise and thank God, I found myself speaking in a new language. I was surprised. My church background was "Brethren" - and I did not believe in the gift of speaking in tongues. I wondered what was happening to me. I didn't want to be praying in that strange language. So I started praying in English again. But it was a struggle now to pray in English. I found it easier to pray in the new language God had given me. I just poured out my heart to the Lord and praised God in this new language. I felt in my spirit as if I was no longer on earth. There was such a great joy and peace in my heart. I came back home and told my husband what had happened. And in the coming days, he saw a real change in my life. A new freshness had come into my life. I felt as if the dry barren desert in my heart had suddenly turned fresh and green! That joy and peace has never left me since that day. As a family, we have faced many trials from people who have opposed us. But none of those things have ever drawn me away from my relationship with the Lord. After our fourth child was born, I was suddenly struck down with rheumatoid arthritis and had to be in bed almost all the time. Even then the Lord kept my heart full of joy and peace - and after one month He healed me miraculously. The Lord started a church in our home in August 1975. After that, we faced a lot of opposition from other Christians in India. We also struggled to meet our family's needs. But in all those situations, God stood by me and strengthened me and answered prayer. I came to know Him more and more intimately as my Father. God then opened my eyes to the great truths of the New Covenant that He had established in Christ. He showed me that He had given me the power of the Holy Spirit so that I would not live for myself anymore, but only for Him. I saw that God wanted to change me into the likeness of Jesus - and He began to change me slowly. He taught me patience and helped me to overcome my anger and filled my heart with love for people. I have been tremendously blessed by God, as Zac's wife. The Lord told me when I got married to Zac that my task was to support him and to take care of him as his helpmeet. And I have tried to do this for 50 years, with God's help. Zac has been a very loving husband to me. He is my best friend on earth, next to the Lord. We love each other deeply and we cannot think of living without each other. "My beloved is dazzling ....outstanding among ten thousand. His words are full of sweetness. He is wholly desirable. This is my beloved, and this is my friend." (Song of Solomon 5:10, 16). When Zac speaks at weddings or to married couples, it is our marriage-relationship that backs up his messages, proving that what he speaks about does work. We are far from perfect and we have made our share of mistakes, like all married couples. But I can honestly say that our marriage has been a small foretaste of heaven on earth. God has also blessed us with four wonderful boys and given each of them a godly wife. It has been our delight to see all of them follow the Lord. They too are a living testimony to the fact that our home-life and family-life have backed up what we preach. I give God all the glory for that. Now we have a number of grandchildren as well, with whom I enjoy playing, whenever I get a chance to be with them. We pray for them regularly and believe that they too will grow up to follow the Lord and be His witnesses on earth in their generation. This is our greatest longing for them. There are many other wonderful things that the Lord has done for me and my family - far too many to count. For all those things and many others, I will be thankful to my Lord for all eternity. I have experienced God's goodness in so many ways, not because I deserve it but because God is a good God. God is good to all people - whether they deserve His goodness or not. So when I experience God's goodness, I do not imagine that I got those blessings because I was either good or great. God has been good to me just because He is God and because goodness is His very nature. So His blessings upon me and my family only prove the amazing goodness of this wonderful God Who is my heavenly Father. May all glory and praise be to God alone for Who He is and for what He has done. Not to me, O Lord, not to me, but to You alone be all the glory. (Psalm 115:1). It is You Who picked me up from the dust and the ash-heap and made me sit on a throne of glory. (1 Samuel 2:8). It is You Who found me thrown out in the open field and picked me up, made me beautiful and clothed me with garments of glory, so that my reputation went forth around the world. (Ezekiel 16:5, 14). Everything I have and that I am today, I have received from You. So I can boast in nothing, O Lord. (1 Corinthians 4:7). You have chosen the foolish and the weak and the despised, so that no-one may boast in Your presence. (1 Corinthians 1:27, 29). There is nothing good in my flesh - for it is like withered grass. (Romans 7:18; Isaiah 40:6). All the goodness that I have today has come from You. (Psalm 16:2). Lord Jesus, You purchased me with Your blood and made me a king and a priest to reign with You on earth. So, You alone are worthy of all glory and honour forever. (Revelation 5:9, 10). You created me for Your glory, O God. (Isaiah 43:7). YOU ALONE ARE WORTHY, O GOD, MY FATHER, TO RECEIVE ALL GLORY AND HONOUR, BOTH NOW AND FOREVER. AMEN. (Revelation 4:11). My sister Annie whom I love and cherish with all my heart, has been a perfect example of the Christian life, to me. She was the firstborn in our family. Our mother used to tell us that Annie was her most beautiful baby, with clear lily white skin, sparkling black eyes like stars, and flowing black hair. To our Dad, she was the lily of his home, and his bright morning star. Annie didn't have much of a childhood though, because her 7 younger brothers and sister were born in quick succession. She was always Mummy's helper - holding one baby after the other, to be washed, bathed, fed, and finally put to bed. She always had a baby brother or sister sleeping by her side at night. Early in life she got used to the routine of waking up at night to change the baby's napkins. She looked after us - her younger brothers and sister - as if we were her own children. If we got hurt, she was the doctor who bandaged our bruises. We looked up to her as our infallible leader - and she was a determined and disciplined leader. 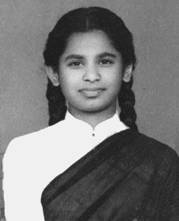 And on school days: I can still picture her with her heavy school bag, leading us all on that long two-mile walk on the hilly roads of Coonoor. At times, we would protest, "You are walking too fast" or "My bag is too heavy for me, please help me carry it?" And she always willingly carried our bags. Annie shared everything she ever had with us. She never kept anything just for herself. Once, one of her friends in school gave her one chewing gum. She kept it carefully in her pocket to share it with us on our way home. We had never seen chewing gum before. She gave each of us a small bite of the chewing gum, which we kept chewing until we got home. She was our perfect role model. She was brilliant in her studies. And she was a perfect teacher who helped us with our homework. She got us dressed in time for school. In the evenings she made sure that we washed up after our play time, and that we were ready for study. She would then lead our evening family prayer time. She led us in singing choruses - alphabetically, starting from A. And we learned to pray at a very early age by copying her words and style of praying! After that, she would rush off to help Mummy in the kitchen. Serving food at mealtimes in exact portions on nine plates was one of Annie's special strong points. Obviously, the portions would never be equal. Everyone's eyes would be on the next plate to see whose serving was bigger. There would be protests and complaints, but she would always put an end to them by saying, "Never mind, you can have some of mine!" That was always her way. During the winter months, she would read us stories and poems - some of which would bring us close to tears. In medical college (CMC, Vellore), she was studious and hardworking. Her only pastime was the Evangelical Students meetings. When she came home for her holidays, it was like a refreshing cool wind for us. She would tell us captivating stories of CMC Hospital - some were sad stories of dying patients whom she prayed with, while telling them how to spend eternity with Jesus. One evening in 1962, while listening to her, the Lord spoke to me through her. Then she and I prayed together and I accepted Jesus as my personal Saviour and Lord of my life. 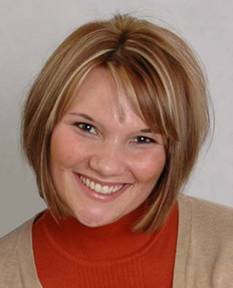 In a few years, Annie had graduated with her medical degree and started her internship. Then marriage proposals came rolling in. And then there were suggestions, debates and arguments at home. One day, the questions raged around someone named "Zac": "Who is he? ", "Is he a doctor? ", "What is his job?" "How much does he earn?" etc. As soon as the answers to those questions were known, our home was divided. It shook our family and challenged every concept of family unity that we had. But Annie was steadfast. Her choice was clear: She would follow Jesus, and live a life of obedience to His word. When other marriage proposals were brought forth, she refused them. She would rather have Zac than silver or gold. She would rather have Zac than a highly qualified doctor with riches untold. She would rather have Zac than a rich engineer or businessman with houses and lands. She chose a life of simplicity, and to be the wife, companion and helpmeet of a man who had forsaken all he had in life, and had obediently chosen to serve the Lord and to be led by Christ's nail pierced hands! That simplicity and obedience in her life continues even today. Together with her husband, she has built a home were Christ is truly honoured. Her four sons and their families passionately love the Lord. Though she travels around the world now, and is welcomed by Christian friends and churches all over the world, yet her life style has not changed. Her home is still open to all. There is a meal waiting for anyone who walks in to her home. She values every small thing that God has provided for her. She wastes nothing. Her fridge is full of small containers to store the little left-over food for the next meal. She lives life with a grateful, cheerful and contented heart before God! Annie is a doctor for the poor and the needy. Healing comes to them from God, but through her kindness, her love, her prayers and her gentle hands. She has enjoyed many blessings - a godly husband and home, God fearing children and grand children, a vibrant and Spirit-filled ministry in CFC, with committed Christian brothers and sisters worldwide. But she has also experienced mocking, ridicule and physical and verbal abuse from some whom she loved and served. That has been heart-breaking. But she has chosen to follow in the footsteps of the Lamb - and she has learnt the new song of humility, obedience and discipleship that Jesus taught her in those trials. One day she will stand before His throne! "Thus far the Lord has helped her" (1 Samuel 7:12). "Thus far" points to this particular moment in Annie's journey through life - 76 lovely years that have gone by so far. "Thus far" also implies that she has not yet come to the end of her journey. It points to the future - to the trials, temptations, toils and battles that lie ahead. But also to the triumphs and joys that lie ahead - until one day she will see her Saviour face to face. The Lord who has helped her thus far will help her until her journey is complete! I praise God for my sister Annie's life! God so loved me that He gave me His Son to be my Lord and my Bridegroom - to free me from my sins and to make me His bride forever. God so loved me that He gave me His Holy Spirit as my Divine Helper - to encourage me constantly and to empower me to live for Him and serve Him. God so loved me that He gave Himself to me as my Heavenly Father - so that I might never feel insecure or unwanted or lonely in this world. God so loved me that he gave me Annie as my earthly helper - to complete me as a human being and to be my partner in living for Him and serving Him. Every good and perfect gift comes from above from a loving Father - and these have all been God's perfect gifts for me - none of which I deserved!! She chose to marry me, based on spiritual considerations alone, knowing very well that I was earning no salary, had no bank balance, and was trusting the Lord alone for all my needs. She has been a wonderful friend and companion, with whom I have been able to pray and laugh and joke for 50 years! She has always loved the Lord Jesus more than she loved me - and that is exactly the way I wanted my wife to be. 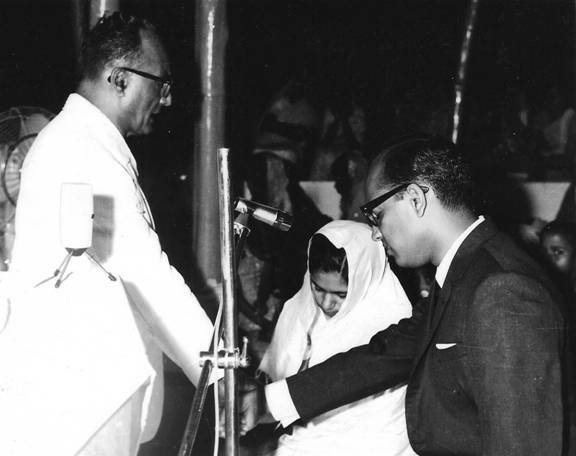 She has always been eager to serve the Lord and the poor people in India - from even before we were married. She has constantly encouraged me in every aspect of my ministry. She has supported me in all my convictions and in my stand against Babylonian Christendom, even when that involved severe opposition from some of her own family-members. She has corrected me gently whenever she sensed that I was being too hard or imbalanced in my ministry. She has faithfully prayed for me - behind the scenes. She shares the revelations she gets from God with me. She has never wanted any luxuries, but has always wanted to live simply. She has worked herself to the bone, looking after all the needs of our home all these years (as a wife and as a mother) - so totally and completely that I never needed to "serve tables, but could devote myself to the ministry of the Word" (Acts 6:2, 4). She spent hundreds of hours every year sitting with our four sons and teaching them their school subjects from Kindergarten to high school. She put her children above the opportunity to make money (through her profession) - even in the early years of our married life, when we did not have much financially. Now she is reaping the blessed fruit of those years of hidden labour and sacrifice, as she sees our four sons following the Lord and raising God-fearing families. Thus she has been an example to all Christian families to give priority to their family life. She has never stopped me from going anywhere to serve the Lord, no matter how much she had to deny herself or be inconvenienced because of my absence, with the needs of the children at home - whether they were sick or whatever. She has always given me the right medical advice to keep me physically fit and healthy for 50 years, so that I could travel extensively and minister to people in many lands. She has willingly offered hospitality in our home to numerous believers - both poor and rich - and always joyfully and generously, giving them the very best always. 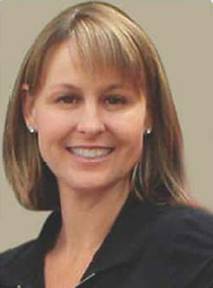 She has helped many sisters with godly advice at meetings for sisters and for families, in personal conversations and by email, and has saved some from divorce and some from suicide. She has ministered to the medical needs of many women and children saving some from a premature death and bringing healing to many others. 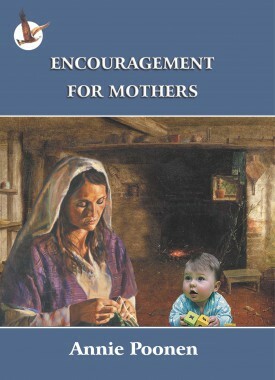 She has written books that have encouraged many young girls, mothers and suffering women. She has borne with the idiosyncrasies of my personality. She has eased life's pathway for me in ways that are far too numerous to mention. Annie is even today (as the Bible says), "the desire of my eyes". I don't have eyes for anyone else. And she is to me still (as the Bible says), "the wife of my youth". I see her even today just as I saw her when she was 25 years old. And she still laughs at my jokes when hearing the same ones again and again. Although we started our married life defeated, like so many believers, yet by the grace of God we live together in a peace and joy now, that increases with the passing of time! We have not reached perfection in our married life yet. But we are pressing on. God gave Annie, at birth, the personality and human qualities that He saw would complement mine. And when God filled her with the Holy Spirit, He gave her the spiritual gifts that would complement mine. Thus we have served the Lord together. I have met many women in the world. But I have never met a single woman whom I would rather have married than Annie. If I were to live my life again, I would choose to marry only Annie - or remain single!! I am deeply grateful to God for the helper exactly suited to my needs that He prepared for me in Annie. Two could accomplish more than twice as much as one, and our work was more effective. When one was about to fall, the other could hold him up and thus both of us could stand. Each of us could stir up the other so that both of us could always be on fire for the Lord. By standing together, we have defeated Satan - because then we were three - Christ Himself being between us (Matthew 18:20). And that has been an unbeatable combination. All glory be to God alone. The young mother set her foot on the pathway of life. "Is this going to be a long way?" she asked her Lord. And the Lord said: "Yes, my daughter. The way will be hard and long. And you will be quite old before you reach the end of it. But you will find that the end is better than the beginning." God gave her four little sons - and the young mother was extremely happy. She could not believe that anything could be better than these years. So she played games with her boys, taught them Bible-stories, prayed with them each night, before tucking them into bed, cooked nourishing food for them each day, and talked with them and laughed with them. And the sun shone brightly on them all. And the young mother said, "Nothing could be better than this." Then the night came, and there was a storm, and the path became dark with sicknesses and other trials - and her boys shook with fear. The mother drew them close to her and covered them with her saree. And her boys said, "Mom, we are not afraid, for you are near, and so no harm can come to us." Then the morning came, and there was a lake to be crossed. The steep hill of character-development had to be climbed too. They crossed the lake, but the boys grew weary as they climbed the hill. The mother was weary too, but she could not show it. She kept saying to her sons, "A little more patience and we will reach the top." So the mother helped her sons and they climbed. When they reached the top, the boys said, "Mom, we could not have made it without you." That night, when the mother lay down, she looked up at the stars and said, "This was a better day than the last one, for my sons have now learned to face difficulties. Yesterday the Lord gave them courage. Today, the Lord gave them strength of character." The next day there were strange clouds that darkened the earth - dark clouds of hatred and jealousy from others. The four boys stumbled in the dark and were confused. Then the mother said, "Look up. Lift your eyes to the light." 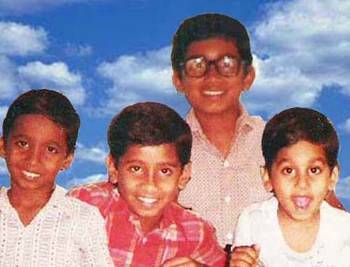 And the boys looked up and saw the bright light of God's love, and that light guided them through the darkness. That night the mother said, "This was the best day of all, for my sons have now learnt to love those who hate them." The days became months and the months became years and the mother grew old and weak and frail. But her four sons had become tall and strong, and had accomplished much. Above all, they walked with the Lord. And now, when the way was rough, they carried their mother in their arms. Her sons got married to four lovely girls who also loved the Lord. And they had children - both boys and girls; Her grandchildren now looked forward to Grandma's coming. Her smile and her love became their everyday longing. Then father, sons, wives and grandchildren all sat Grandma down and placed a crown on her head and said, "We thank God for you." 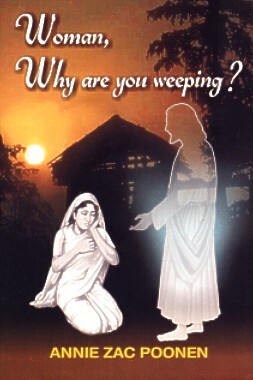 the way you cried with us in our sorrows. Above all, you showed us how Jesus loves us, by the way you sacrificed everything for us. You are the place we came from. You were our first home. You were the one who taught us to walk. You were our first love. And you were the one who taught us to love the Lord. We thank God for you. We love you." Then, up in the clouds, they saw a bright blue road and a golden gate. The mother knew that she would reach the end of her long journey one day. "Lord, thank You for helping me to finish the work that You gave me to do on earth." One day this mother will meet her Lord in the air - and He will say, "Well done, My good and faithful servant, for being a first-class mother on earth. Enter into the joy of your Lord." My mom has been my hero - and I've boldly said that publicly many times. My Mom's life has a radiance that shines brighter and brighter with each passing year. Her life has demonstrated to everyone that career, money and fame in this world are all unimportant in the kingdom of God. What has meant the most to her was to have a personal relationship with the Lord, serving Him in the local and wider church; and to support my Dad in his ministry, and to be available always for her sons, daughters-in-law and grandchildren. She never cared to be an accomplished doctor with a thriving medical career. Her grandchildren dote on her, and now she has become like a young mother all over again, playing with them, praying with them, teaching them and reaching out to them constantly. They run into her arms, because she makes every one of them feel so special. 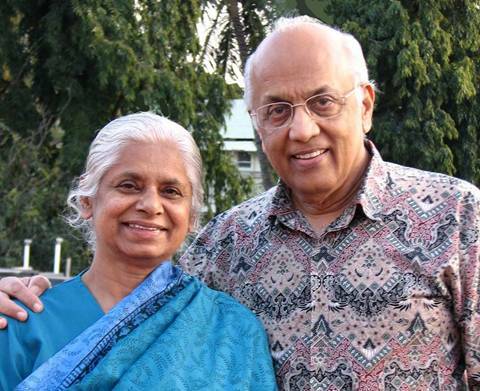 My Mom has ministered in a silent way to many in so many parts of India and the world, caring for their sickness as a doctor, and praying for their spiritual welfare as a sister in the Lord. She has been like Mother Teresa to many in India and in other lands. It's as though all her friends are also her children and her grandchildren. As she gets older, I see her as a righteous woman whose path the Lord is making brighter and brighter, with every passing year, to bless many across the whole world (Proverbs 4:18). I pray that the Lord will teach me also to love so deeply, and to care so loyally, as she does. When I married Sanjay, Mom enthusiastically and wholeheartedly "adopted" me into her heart and her family as her "daughter-in-love". And through these past years, she has made me feel her deep, genuine love, as she has consoled me and counselled me, and offered me her practical help in so many ways. I have many memories of her love in action. Mom has consistently displayed faith, faithfulness, compassion, love, sacrifice, resourcefulness and humility. Her investment in raising four godly sons has blessed all of us girls who are married to them. It is clear that that all her sacrifices and efforts have paid off. 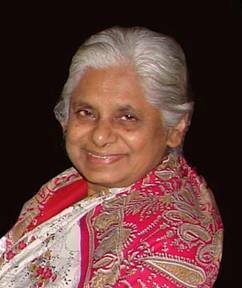 With her medical wisdom and her prayers, she has covered our family body, soul and spirit! She works tirelessly behind the scenes at home. And when called upon to "say something" at a church meeting, she always has a timely word as well. Mom is an inspiring example of a godly wife, mother and grandmother. The spiritual inheritance that her children and grandchildren have because of her faithfulness is unmatched. I long to follow in her footsteps to be a loving, supportive, godly wife and mother (and someday, grandmother) to pass on the spiritual inheritance she has given me. "Therefore, since we are surrounded by such a great cloud of witnesses, let us throw off everything that hinders and the sin that so easily entangles, and let us run with perseverance the race marked out for us. Let us fix our eyes on Jesus ...." (Hebrews 12:1-2a). Mom is one of those witnesses to me, who reminds me to fix my eyes upon Jesus and inspires me to run the race with perseverance. I am so grateful for my "mother-in-love"! fill just a little space, if God would be glorified thereby. My Mom was the one who had the most impact on my early life - in the years while I was still single. She is a shining example of living life without any fear of the future, because her only goal was to please God, and she knew that He held her life in His hand. She was always silent regarding the sacrifices she made for us, so that I wasn't even aware of them. It was a great sacrifice, when she made a clear choice not to seek great things for herself as a medical doctor, (and she could have been a highly acclaimed one) but instead allowed herself to be to be guided by the Lord and by my Dad. My Mom spent time teaching me to value God's Word and prayer. Most of those times I can't remember in detail, because I was too young. But the most vivid memories of my childhood are of being around God's Word and His people. "I remember, one day, watching my mom as she meticulously cleaned and dusted the windows in my room, as well as the portable fan grill, one bar at a time. And then I knew why she is the best Mom in the world - because she is neither afraid nor unwilling to do somebody else's job for them out of love, no matter how menial the task....and she does it well, for the glory of God! That is the legacy that I want to pass on to others, and perhaps, to my own children some day, by God's grace! I have seen in my Mom a heart that always longs to do service for the Lord. And yet she gave up the opportunity to be a life-long missionary doctor serving lepers, to be a life-long mother to me, her son. In my foolishness as a young man, I laid many crosses on my Mom. But she bore them all cheerfully. 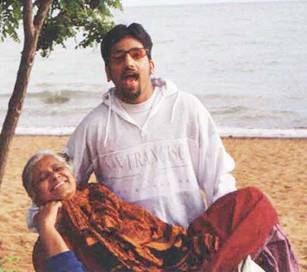 Through many deep hurts that I caused her, she always, always showed me her heart of unconditional love - the very heart of God! My Mom has a life that is free. As I've observed her life, I've seen that the key to that freedom is that she has renounced her ˜Self. In her life, I have seen the way to true liberty! My Mom's life beckons me to follow her, as she has followed Christ. The same Holy Spirit Who helped Jesus helped my Mom to be a true disciple of Jesus. And I believe the Spirit will strengthen me also to live such a godly life. So, the heritage she has given me will thus be passed on to the next generation, and to generations to come (Joel 1:3). 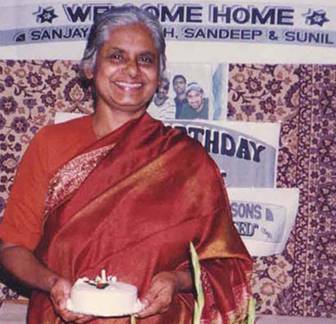 Ever since I married Santosh, I have seen Mom walk a servant-life before me. And as I have seen that, I have been challenged to follow her example. Mom lives what she believes and I am truly blessed to be one of her daughters-in-love. A giving, warmhearted, doting grandma. Mom is one of the most sacrificial people I have ever met. The way she lives her life completely to serve others is a challenge to me. She makes numerous sacrifices to make my life easier whenever she is at our home. 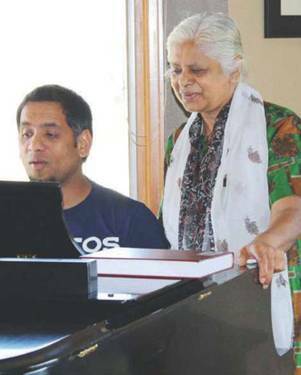 And she has raised such a godly, caring, giving and amazing son in Santosh and given him to me as my husband. Mom has also taught me many practical things, like how to make chapattis, really good Indian tea and many Indian dishes. When she is with us, she does so many things to help out and to take care of ALL of us in our home. I and deeply grateful for all this and I love Mom so much! It was the annual school music competition and I was giving a vocal solo. The song was about the blind man whom Jesus healed. All of a sudden, it hit me that I was singing about myself. I was the one who had been blind - blind to all the worth that there was in the wonderful woman that God had given to me as my mother. I had only seen her external lack of sophistication. I had not seen the beauty of her self-denials and her sacrifices - her real worth. In the early years of my childhood, my mother had been the central figure in my life. She was the one who would wake me up in the morning, send me off to school, and be waiting faithfully at the school gate for me, when school was over. Many boys in my class were eager to have a taste of the delicious lunch that I used to take to school each day. Yes, I was proud of Mom's cooking! Although I was a bundle of energy and full of naughty pranks, Mom never seemed to mind or to get tired. Now I realize that she did get quite exhausted. But she never showed it. Never once did she let me down before my friends or my teachers. Even when she had to punish me, I can remember the pain that there was in her face. Mom's a physician. But I've never seen her taking money from anyone for her services. I've seen poor people who couldn't afford doctor's fees, coming to Mom for help when they were sick. Mom always treated them without any fee. And they were cured - sometimes miraculously. Mom felt that she should not use the talent that God had given her, to make money for herself. What was received freely, she felt, should be given away freely. She had eliminated words such as ambition, wealth, honour and fame not only from her vocabulary, but from her thinking as well. A mother has been defined as "someone who, on noticing that there are six members in the family and only five pieces of chocolate cake, promptly says that she never really cared for chocolate cake." Mom's been like that - quick to notice a need and quick to meet it, without letting anyone feel that she's sacrificed anything. But as I grew up and began to develop the rebellious, independent spirit characteristic of teenagers, my views on Mom began to change. I began to think she was too old-fashioned. Her hair had turned gray prematurely and I began to be embarrassed to be seen with her at school-functions. Her clothes were too simple. She didn't wear any gold or pearls, and she never used lipstick or rouge or eye-shadow. I began to be critical of her too. I started noticing faults in her that I had never noticed before! I began to be sharp and cutting in my remarks. Gone were the days of joking and laughing together. I'm sure she noticed the change. But she never said anything. She remained just the same in her love and care for me. She would listen to my complaints and my criticisms and then praise me the very next moment for something commendable that she saw in me. And she still sent delicious lunches for me to eat at school. I now understand a little more of the meaning of that Old Testament word that describes the nature of God - loving kindness. 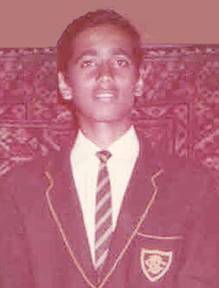 In August 1991, it was time again for the annual music competition at school, I was going to sing a solo, and also conduct the house-choir in a group item. I still remember that 23rd of August vividly. There was a big question in my mind. Would I win or would I lose? The morning of the competition dawns and I am in great spirits. I shower and am soon ready to go. Mom is waiting proudly at the front door, holding my guitar in her hand. "I'm going to see you win with this", her eyes seem to say. I reach the school hall and I am all raring to go. My name is called and I walk up to the stage. Adrenalin floods my arteries, and hordes of butterflies are flying around inside my stomach. I face the audience of parents and students, and look around for one face. There she is - Mom. All said and done, she is still my chief source of inspiration. I hear the message in her eyes, "I'm praying for you, son. You' re going to do OK." And suddenly the butterflies disappear and my face is not flushed any more. My confidence gets the boost it needs and I take off. "Lord, give me my sight." Help me to see the value of the marvellous gift You've given me in my mother! Soon it is time for the choir item. I'm a different person now. With confidence, I lead the choir and they're inspired too. I've never heard them sing so well. We end our last item and there is a spontaneous burst of applause from the crowd. Above all the hand-clapping, I can hear a familiar 'one-two' beat applause, louder and longer than the others. Sure enough, it's Mom's. The results are announced. Although my choir presentation gets the first prize. I come only third in the vocal solo. Disappointed, I slowly trudge back to the parking lot. I had really wanted to win the vocal solo. I drive home slowly on my moped, enter my house quietly, go to my room and put my guitar carefully back into its case. As I turn around, I see Mom in the doorway. One look at her face and I know that my defeat is as much a disappointment for her as it is for me. An old rabbi once said, "Since God couldn't be everywhere, He made mothers." He certainly made mine. "My Mom's an executive," chirps a voice in the hazy distance. And I hear myself replying, "My Mom's a mother!" 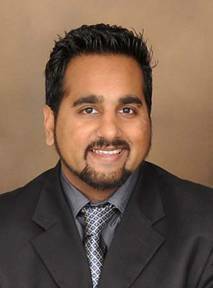 I suddenly feel an arm around me and I hear a wonderful voice saying, "I love you Sandeep." The corporate world puts a high premium on being able to manage difficult conversations well. In fact, there are several best-selling books on this topic. But even though my Mom has not read any of those books, she is an expert in this matter! It is the hardest thing in the world to shape and guide a rebellious teenager away from a mindset of discouragement and low self-esteem, and into the pathway of hope and love. My Mom is a leader on this subject! The situation mentioned in my article above was a time for one of those crucial conversations. I just wanted my Mom to feel sorry for me at that time. But the way Mom dealt with me then was different - and resulted in shaping so much of my faith in God today. 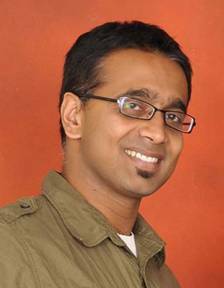 "Sandeep, you were the only one of the vocalists who sang a song about Jesus and His love. You must know that this is something that God has taken special notice of." "God has noticed that you sang about His Son Jesus. You didn't have to, but you chose to. He is so proud that you sang fearlessly and boldly about His Son Jesus and His love for you. So you made God's heart proud." I had grown up hearing these kinds of truths at home and at church. But what really stood out to me that day was her strong conviction and absolute belief about what she said. Mom is not a passionate speaker or an outspoken person. But her words sunk deep within me because she said it with a startlingly strong conviction. I wondered then how anyone could have such a deep and sure assurance about God! Whenever the pain of this disappointment would well up inside of me over the next few days, I found rest and strength in these words of Mom's. I found a refuge in God's loving affirmation of me through my Mom, when I had felt like a failure. "If the whole world is proud of your accomplishments, but Jesus is disappointed with your decisions and your lifestyle, then you are a failure. But even if the whole world looks at you with scorn and ridicule, yet if Jesus is proud of your decisions and present lifestyle, then everything is right in your life and you are a success." Mom knew this truth deeply and lived it out just like she believed in the law of gravity! And her life story has proved it. Even before her marriage, she did not seek her own comfort. She chose instead to care for lepers in a remote, snake-infested village. Later, she rejected opportunities to be a well-paid anesthesiologist (which was her profession), in order to be fully available for us her sons, as we grew up. Mom lived out the love of God for us while Dad was fulfilling his calling to travel and tell others about that love. Mom continues to impact my sermons, sometimes even in what I end up saying. Once, when I was had to speak to thousands of people about the necessity of Jesus being the only thing that matters to us and I told my Mom about this, she sent me a song that is one of her favourites. It was a perfect fit to close my sermon. And live alone to Thee. That song describes my Mom's life. People have told me that I have a strong conviction about my God and His truths. But they don't know who the Lord used to build that faith in me! But one day, the whole world will know - when the Lord Himself extols my Mom's virtues and her life. I'm so thankful that through marrying Sandeep, I got the opportunity to know Mom as her daughter. I have watched her life "behind the scenes", and seen what a beautiful woman she is, when only her family is watching her. 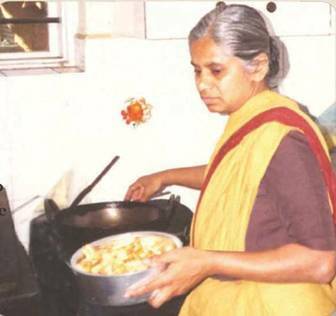 I have seen her loving, servant spirit driving her to clean my house, (even shaking out the rugs), spending hours cooking special Indian treats for us, squeezing dozens of lemons to make lemonade, etc. I have even seen her losing sleep as she prays for and takes care of my children - when they were born, when they are sick, and when they cry in the middle of the night. It is the Spirit of Christ working in her in all of this, because I have never heard her complain about any inconvenience. In fact, she seems to thoroughly enjoy going out of her way to serve her family at all times. I have seen the sensitivity she has for others. She has told me stories about her working with lepers - and the pain and the joy she experienced then, still shows in her eyes. She feels so deeply - and takes on the hurt and happiness of those around her. This is one of the things that has made her such an incredibly discerning, intuitive doctor. I have always loved talking to her about the children and my own personal problems - whether physical or emotional - because she cares as though she is experiencing those pains herself. I have seen her selflessness. That is such a rare trait. Many people have selfless moments. But I wonder sometimes if there is even one selfish bone in Mom's body. She would give everything she has just to see one of her children happy. I have seen her, countless times, taking a special treat or gift that was meant for her, and saving it for one of her children or grandchildren. That is not something she has to try to do. It comes naturally, as the fruit of the Holy Spirit dwelling in her. I have seen her work so hard to support and protect my marriage to Sandeep, by setting healthy boundaries whenever she comes to visit us. She gives us our space and works very hard not to intervene when we are making decisions as a couple or for our children. She deeply respects the God-ordained separation from her that she knows her married son must have. I have seen her example as a wife. I have seen her consistent humility and respect towards Dad in everything!!! That really does take total surrender to God, and is perhaps the hardest part for many wives! I cannot recall even one time when I've heard her talk negatively about Dad or tease him in a disrespectful way - even though she loves to laugh and tease!! She esteems her husband by her words and by her actions. I am humbled and challenged by that example and thank the Lord for giving the four of us girls (her daughters-in-love) a beautiful model to follow as wives! I have seen in Mom a deep love for Jesus and a desire to please Him - every time she visits us. It is this that makes her such an extraordinary wife, mother, and grandmother!! I am grateful for a lifetime to my Mom for having brought me into the world. But I am eternally grateful beyond this lifetime to my Mom for teaching me the ways of the Lord and how to walk in it from an early age and throughout my childhood. To many people, it may seem that the reason we, as sons of Zac Poonen, are walking closely with the Lord today is because of our father. But the fact is that Mom is the biggest reason we have not strayed away from the Lord or settled for a shallow, compromising Christianity when we grew up and settled down to have families of our own. With Dad often travelling and away from home, Mom was the one who took up the challenge of exercising Proverbs 22:6 in our lives ("Train up a child in the way he should go"). Mom was the heartbeat of our home and raised us in the fear of the Lord through her balance of tender love and discipline. When I was a young child, Mom was my guardian. 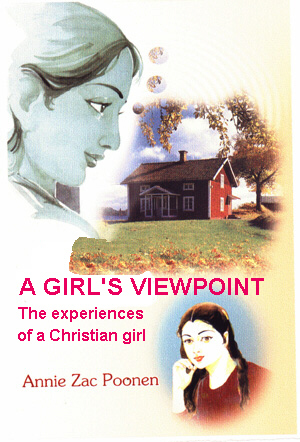 I used to hold on to her hand firmly or hide behind her saree after church meetings. I recall, once as a 5-year-old, when we were driving up a scary winding road to a hill-station, I had a brief moment when I was terrified. But I soon realized that Mom was holding me securely on her lap - and then I wasn't afraid anymore. When I was a teenager, Mom was one of my best friends. When my brothers had left to go to college and I was alone at home, Mom and I grew especially close. I was able to confide in her the innermost secrets of my life and the struggles I dealt with as a teenager. Not once did she condemn me but rather always supported me through all my ups and downs. Now as a young parent, she is my ultimate role model. I strive every day to raise my kids with the God-fearing, yet fun-loving nature with which my Mom raised me. I marvel as I see her now at age 70, going through the day with her grandchildren, reading bible stories to them, playing outdoor ball games and indoor board games with them, and putting them to bed at night while they fall asleep playing with her hair. 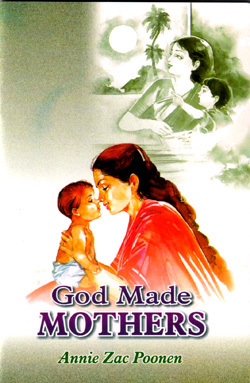 Mom understood her primary ministry as a stay-at-home mother and she fulfilled her duty to God and to her children 100%. My hope and prayer is that I will be as faithful, loving, and dedicated a parent to my children as Mom has been to me. 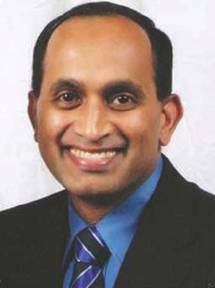 I have been blessed to have known Mom all my life, because from my birth I was a part of the same church fellowship that Sunil was in. So my memories of Mom date back to when I was a little child at church. She was always so hard-working behind the scenes for the church and for her family. Whether it was hosting guests at her home, cooking food for the church, or providing medical care and advice, she was always ready to help with a joyful and meek spirit. When she was asked to share a testimony, I remember always being blessed by the timely word she shared. Even today, her sacrificial love as a mother never ceases to amaze me. She is one of the best examples of motherly love and sacrifice I have seen. When I am discouraged about how to get through the day with three children, I am inspired by thinking how Mom got through more than twenty-five years, raising four children in her home, with all the daily ups and downs. Whenever we are unsure about health issues, Mom's medical advice and diagnosis have always helped to reassure us. I can't recall a single time when her medical advice was wrong. It was always the best for us. Mom raised four godly sons who have now turned out to be great husbands and wonderful fathers. I am fortunate to be a part of that glorious inheritance and I am really grateful that I can now enjoy the fruits of Mom's investment in Sunil as a son for over 26 years. As a grandmother to my children, Mom has been a reflection of Christ and I could not ask for anything more. Mom has always served us unselfishly without demanding anything in return. Mom has been a true inspiration to our family in terms of sacrificial love, humility, and godly service. I am honoured to be able to call her "Mom"; and my children are blessed to have such a godly grandmother.